Rama I. bestimmt den 11jährigen Ang Chan (นักองค์จัน, 1791 - 1834) zum künftigen König von Kambodscha. Er wird 1806 von Rama I. mit dem Namen Udayarājādhirāja (พระอุไทยราชาธิราช) zum König geweiht. Im seit 1799 andauernden Thronfolgestreit in Annam siegt der von Frankreich unterstützte Gia Long (阮福映, 1762 - 1820). ""Kaiser Gia Long (Hán tự: 嘉隆; * 8. Februar 1762 in Huế; † 3. Februar 1820 ebenda) war der Begründer und erste Kaiser der vietnamesischen Nguyễn-Dynastie (阮朝), er bekleidete dieses Amt vom 1. Juni 1802 bis zu seinem Tode. 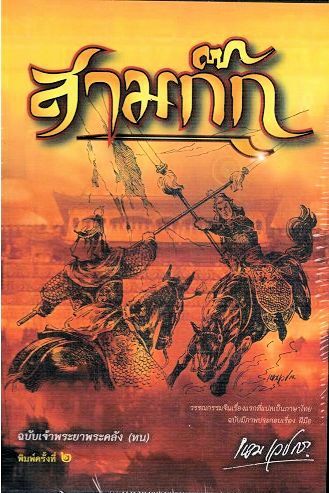 Sein eigentlicher Name war Nguyễn Phúc Ánh (阮福映, auch 阮福暎), kurz Nguyễn Ánh (阮映), oder auch Nguyễn Phúc Chủng (阮福種), als Ärabezeichnung wählte er Gia Long. In dem der Tây-Sơn-Rebellion folgenden Bürgerkrieg hatten 1777 die Tây Sơn das gesamte Land der Nguyễn besetzt. Nguyễn Phúc Ánh floh als einziger Überlebender der Nguyễn-Dynastie nach Siam und bat den dortigen König um Hilfe. Er kehrte mit siamesischen Truppen zurück, wurde aber besiegt und musste erneut fliehen, während der Bürgerkrieg fortdauerte. 1800 eroberte Nguyễn Phúc Ánh mit Hilfe der Franzosen die Tây-Sơn-Festung in Quy Nhơn und 1801 Phú Xuân (nahe Huế), was die Hauptstadt der Tây Sơn war. 1802 besiegte er in Thăng Long (dem heutigen Hanoi) Quang Trungs Sohn Quang Tuản sowie viele Tây-Sơn-Generäle. Damit hatte er den Krieg gewonnen und erklärte sich unter der Ärabezeichnung (niên hiệu 年號) Gia Long (嘉隆 glückverheißend und wohlhabend) zum Kaiser, dem ersten der Nguyễn-Dynastie, man beachte dabei, dass das erste Zeichen der Ärabezeichnung identisch mit der des Jiāqìng-Kaisers von China 嘉慶 ist, sicherlich kein Zufall. 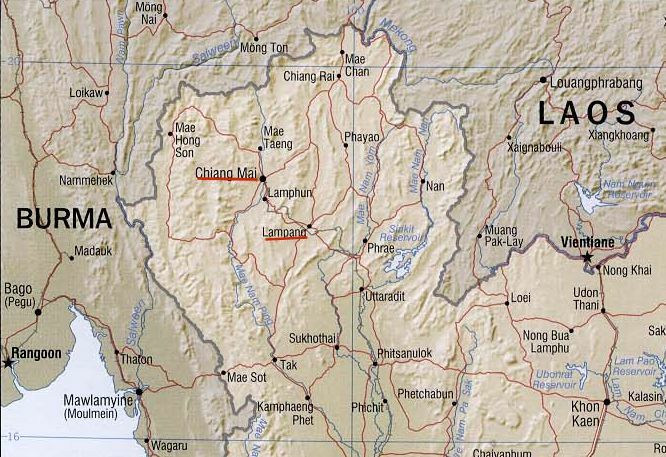 Unter seiner Herrschaft wurden die Nachbarländer Laos und Kambodscha nach Feldzügen zu Vasallenstaaten Vietnams. 1804 verlegte Gia Long die Hauptstadt nach Huế. Der Name „Việt Nam“ entstand auf Initiative Gia Longs: 1802 ersuchte er den chinesischen Jiāqìng-Kaiser um die Erlaubnis, das Land von Đại Việt 大越 in Nam Việt 南越 umbenennen zu dürfen. Dieser ordnete allerdings die beiden Silben zu Việt Nam 越南 um, um Verwechslungen mit dem alten Königreich Nam Việt unter Triệu Đà 趙佗 (Zhào Tuó) zu verhindern, umfasste dieses Reich doch einen Teil dessen, was später Südchina wurde." 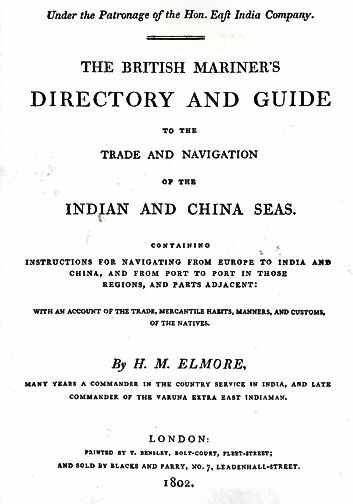 Elmore, H. M.: The British mariner's directory and guide to the trade and navigation of the Indian and China Sea; Containing instructions for navigating from Europe to India and China, and from port to port in those regions, and parts adjacent : With an account of the trade, mercantile habits, manners, and customs of the natives. -- London : Bensley, 1802. -- 342 S. ; 25 cm. The English know so little of this place and its trade that it will require a particular description, as the traffick may be much improved, particularly for the import and consumption of British manufactures, such as broad-cloths, cutlery, ironmongery, jewelry, and toys. The Portuguese have principally enjoyed the trade and profits of this place. There have been some speculations made by British merchants from Calcutta, and which always turned out to advantage. The Menam (the chief river) by which ships enter Siam, discharges itself into the Gulf of Siam, and is rendered difficult of access, on account of a bar, to cross which it is necessary to have a pilot. The winter here is dry, and the summer wet, occasioned by the different monsoons, which act here as in the Bay of Bengal, viz. the north-easterly monsoon bringing in dry, and the south-westerly monsoon bringing in heavy clouds, thick weather, and rain. The southerly monsoon is therefore the season for ships to go to Siam, as it is a fair wind to cross the bar; and the northerly monsoon to leave the bar, and proceed to India through the Straits of Malacca. Bankasoy, situated on the river near the bar, is the principal place of trade; and the King is the chief merchant, for his revenues are paid in elephants teeth, sapan, and aquilla wood. This is the best part of the Malay coast for procuring that exquisite sauce, called ballichong, which the eastern epicures so much seek, value, and regale upon: it is made of a composition of dried shrimps, pepper, salt, seaweed, &c. &c. beaten together to the consistence of a tough paste; and then packed in jars for sale, use, or exportation. 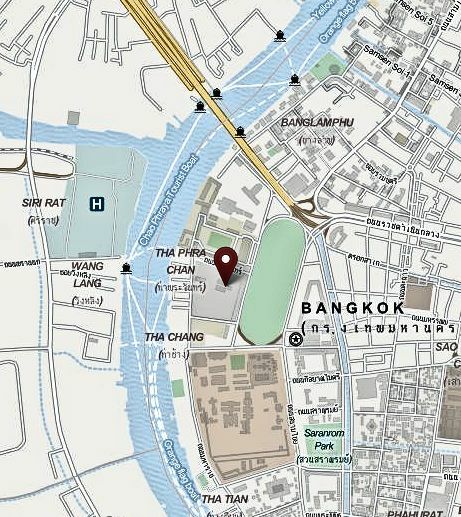 Siam, near the shores, (the only places where European traders have access to,) is very unhealthy. The land seems to be formed by the mud descending from the mountains; to which mud, and the overflowings of the river, the soil owes its fertility; for in the higher places, and parts remote from the inundation, all is dried and burnt up by the sun, soon after the periodical rains are over. The arts have been in more repute, and better attended to formerly, than at the present time. Few travellers will omit noticeing the many casts at this place, both of statues, and cannon of an immense calliber and length, as well as many other curiosities, many of them in gold. 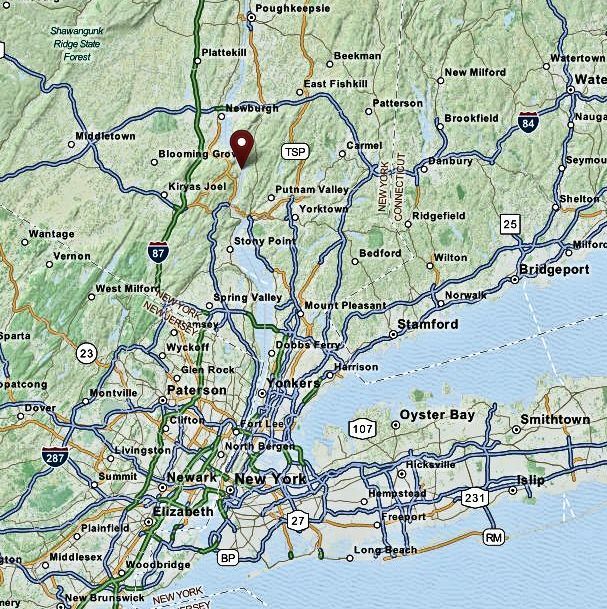 The mountains produce diamonds of an excellent water, (little if at all inferior to those of Golconda, though not so large,) sapphires, rubies, and agates. They have tin of a very fine quality, of which they make tutenague; steel, iron, lead, and gold: they have copper also of a fine quality, but not in great plenty. The low grounds produce rice in great quantities; and on the higher grounds, that are not inundated, they raise wheat. They have many medicinal plants and gums, oil of jessamin, lack, benzoin, crystal, emery, antimony, cotton, wood oil, varnish, cinnamon, cassia, cassia buds, and iron wood, which is much used by the natives, Malays, and Chinese, as anchors for their vessels. They have also a great quantity of white beetle nut, which is exported to China, by the junks and Portuguese ships, who have enjoyed almost uninterruptedly the whole trade of this place, and the coast of Cochin China, from the Ridang Islands to Macao. They have also the fruits known in India, as well as the durian, mangosteen, and tamarind, which are remarkable for thriving here. The animals are, horses, oxen, buffaloes, sheep, and goats, tigers, elephants, rhinoceroses, deer, and some hares. 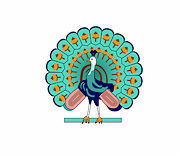 There is poultry in great abundance, with peacocks, pigeons, partridges, snipes, parrots, and many other birds. They have insects and vermin, as peculiar to other parts of India. From the humidity of the soil, it is almost unnecessary to observe, that the chief disorders, to which Europeans are subject, are, fluxes, dysenteries, fevers, and agues. No private merchant here dare trade in tin, tutenague, elephants teeth, lead, or sapan wood, without leave from the king, which permission is seldom granted; as he monopolises these articles to himself, and pays in them for any goods he purchases, at the highest prices they will bring at most markets in India. 2 teeth to the pecul, equal to 120 ticalls. 3 ditto ditto 112 ditto. 4 ditto ditto 104 ditto. 5 ditto ditto 96 ditto. 6 ditto ditto 88 ditto. y ditto ditto 80 ditto. 8 ditto ditto 72 ditto. 9 ditto ditto 64 ditto. 10 ditto ditto 56 ditto. 11 ditto ditto 48 ditto. 12 ditto ditto 40 ditto. 13 ditto to 20 or 30 ditto 33 ditto. thus falling eight ticalls in each pecul, as the number of teeth increases. But if you purchase with ready money, instead of receiving them in barter (or payment) for goods, you will buy each quality eight ticalls per pecul cheaper than the above prices; and still lower, if you have permission to trade with the Xtiams, or private merchants. In purchasing sapan wood, it is customary to allow five catty per pecul for loss of weight; and as each draft is weighed by the large, or five pecul dotchin, you are allowed 535 catty; which, if it is the first sort, should not be more than 16 to 18 pieces: second sort runs 22 to 24 pieces; and as the number of pieces increase, the price falls in proportion. After you have settled with the ministers what part of your cargo the king is to have, (which is commonly called a present, unless he asks particularly to buy any thing,) some of the principal merchants of the place are called to value them; and as they are valued, you are paid, by the king as a present, in the forementioned goods, at the highest prices they will bear. It may not be deemed superfluous here to observe that a complaisant behaviour, and a cheerfulness of disposition, are absolutely necessary, particularly if you have (as all traders must have) a point to carry. Presents, (as they are called,) but in grosser language bribes, properly applied, gives the officers of government and people in power the true tone and relish to serve you, as you will have frequent occasion to call upon them in their official capacities. Every application for a permit to purchase any description of goods costs ten and a-half ticalls: this permit only serves for one house, and one time of weighing: so that, if you are about receiving any quantity of goods of the same quality from different merchants, agree with them to send it all to one house, and make one day for weighing off the whole in the merchant’s name at whose house it is weighed. This mode will save the expence of a multiplicity of permits, and quicken dispatch. Upon each of these weighing days you must have three of the King’s writers, the first and second Shabundar, and the Linguist: to each of these, daily, you pay one-quarter ticall; but it will be your interest to give them some trifling presents. Elephants teeth, (any sbrt), 4 ticalls per pecul. tin, — — 2 ditto per bhar. Sapan wood, — 4 ditto per 100 pecul. Lead, — — 2 mace per bhar. Measurage, if above three fathoms, or eighteen feet beam, to the King, 10 ticalls. To the Barcola, (or first Shabundar,) 10 ticalls. To the lecond Shabundar, 10 ticalls. For your arrival at the bar, 10½ ticalls. To pilots, and entrance, 10½ ticalls. To pass the two tobangoes (or chop-houses) each 10½ ticalls. To each permit, 10½ ticalls. To a permit to measure, 10½ ticalls. To a permit to open your bales, 12 ticalls. To a permit for leave to sell, 10½ticalls. And on going away, to each of the two tobangoes, 20 ticalls. At the place where they infill on your landing your guns 20 ticalls; with some other charges which are trifling. The duties upon your imports are eight per cent., except dates, kissmisses, almonds, and some other trifles which are excused. For registering inwards, 11 ticall. 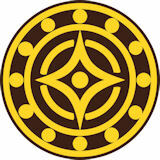 Two permits to pass the tobangoes, each 10½ ticalls. If the vessel has no goods she will pay one ticall per covid (of 14½ inches) for her breadth of beam; but if she has trade she pays two ticalls per covid. I would advise all vessels from India, going to Siam, to take a fresh port clearance from Malacca; as it must appear obvious the great indulgences she will enjoy, and the saving in the measurement and charges." "Die Geschichte der Drei Reiche (chinesisch 三國演義 / 三国演义, Pinyin Sānguó Yǎnyì) ist ein Roman des chinesischen Autors Luo Guanzhong (羅貫中, ca. 1330 - 1400) über die turbulente Zeit der Drei Reiche (ca. 208–280) und gehört zu den populärsten chinesischen Romanen. Er wird auch zu den vier klassischen Romanen (四大名著) gezählt." In Schottland wird der erste wirtschaftlich arbeitende Schaufelraddampfer der Welt, Charlotte Dundas, erprobt. 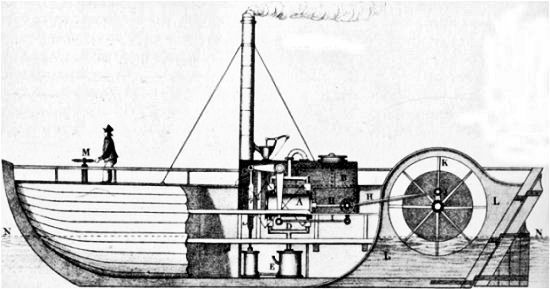 Konstrukteur ist William Symington (1764 - 1831). Damit beginnt das allmähliche Ende der Segelschifffahrt. Mönche des Wat Mahathat (วัดมหาธาตุ ยุวราชรังสฤษฎิ์ ราชวรมหาวิหาร) vergnügen sich mit Feuerwerk, das Kloster fängt Feuer und wird fast völlig zerstört. Mit dem Wiederaufbau wird sofort begonnen. 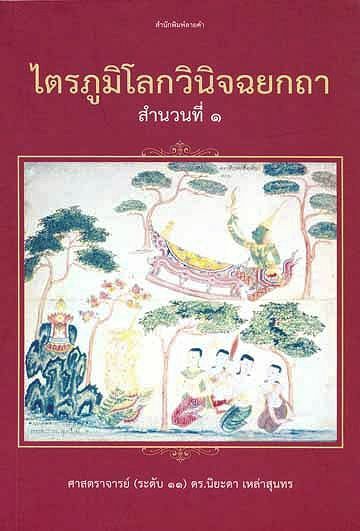 König Kawila (พระเจ้าบรมราชาธิบดีกาวิละ, 1742 - 1816) von Chiang Mai (ᨩ᩠ᨿᨦᩉ᩠ / เชียงใหม่) kommt nach Bangkok und wird von Rama I. als hochrangiger Vasall (เจ้าประเทศราช - König eines abhängigen Landes) akzeptiert. Chiang Mai erhält die Führung über das eigenständige Fürstentum Lampang (ลำปาง), wo ein jüngerer Bruder Kawilas regiert. 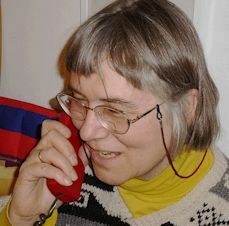 Burma wird endgültig aus Nordthailand vertrieben.